The Carrick 1st XV were beaten by 13 points to 12 by CIYMS at Belmont on Saturday 19th January. With Enniskillen and Coleraine also losing, this narrow defeat, and a losing bonus point, leaves the Maxol-sponored Carrick side still in seventh place in the League. Carrick in many ways have only themselves to blame for the loss at CIYMS, with far too many penalties conceded, questionable though some of the decisions may have been, and far too many handling errors and the taking of wrong options when in control of the ball. That said, credit must be given to the home side who took their chances and, when Carrick had brought themselves within one point with fifteen minutes remaining, kept the visitors playing inside their own territory for most of the remaining time. They were aided in this though by Carrick handing over control of possession too often and too easily. On the positive side for Carrick, the scrum was on top for much of the game but on the negative side the line-out mis-fired from time to time and they often over-committed men at the break-down, leaving CIYMS with the numerical advantage on the fringes. There were some good individual performances from Carrick; prop Gareth McKeown both scrummaged well and put in some big tackles and carries while Andy Kinkaid, standing in for the injured Ryan McGonigle at No 8, put in a strong all-round performance as did flankers Ross Marsden and Jack Millar. Out-half Jack Burton put up some useful Garryowens and made a number of line-breaks including in the lead-up to the second Carrick try. After a scrappy start from both sides, the home team took the lead after ten minutes with a well constructed try. A well timed pass produced a line-break in mid-field and, from an ensuing ruck, quick transfer wide enabled them to score in the corner where Carrick were short of defenders. The try was not converted and play continued with neither side able to take control of the game, largely because of the high error counts for both. On the half-hour mark though Carrick drew level when Ross Crymble went over in the corner following a dart by Conor Cambridge from quick scrum ball five metres out. The try was not converted and CIYMS regained the lead two minutes later when another Carrick infringement gave them a shot at goal from forty-five metres out and they were able to convert. In injury time at the end of the first half, CIYMS then extended their lead when they attacked off turn-over ball and scored in the right hand corner. This try was not converted but the home side went into the break leading by 13 points to 5. The second half continued with the pattern much as in the first period, with neither side controlling the ball for any significant length of time, and with defences on top, but the home side held the territorial advantage for much of the half. 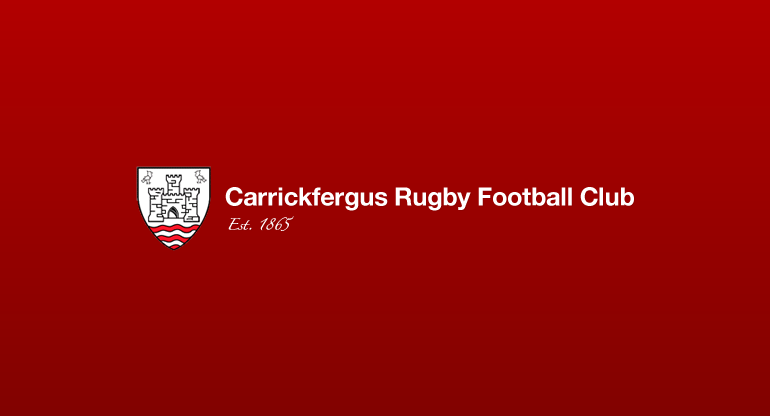 However, with fifteen minutes to go, Carrick got themselves back into the match when David Carse scored from close in following a line-break by Jack Burton, good carries by Fionn McCormack and Gareth McKeown and a series of picks and drives by the forwards. Fionn McCormack added the conversion points and Carrick were now in a position where a score of any sort would have given them the lead and probably the match. However, for the remainder of the game, it was the home side which controlled territory and Carrick, partly because of their own lack of patience and discipline, were unable to establish any sort of foot-hold in opposition territory. Perhaps fittingly the game ended with yet another CIYMS penalty deep in Carrick territory which they were content to tap and put into touch to take the 13 points to 12 victory. After a very good performance in Enniskillen the week before, this was a disappointing Carrick effort and they will need to re-group quickly for the home fixture against Portadown next week. This is a game Carrick will need to win as they are by no means safe yet and have a difficult run-in with away games against Instonians, Cooke and Dromore, and a home fixture against Ballyclare to come. D. Carse; R. Crymble (N. Hastings); F. McCormack, J. Sheriff, D. Moore; J. Burton, C. Cambridge; G. McKeown (J. Bell), A. Whitley, P. Greenaway (Capt), C. Rodgers, I. McMenamin, J. Millar, R. Marsden, A. Kinkaid.